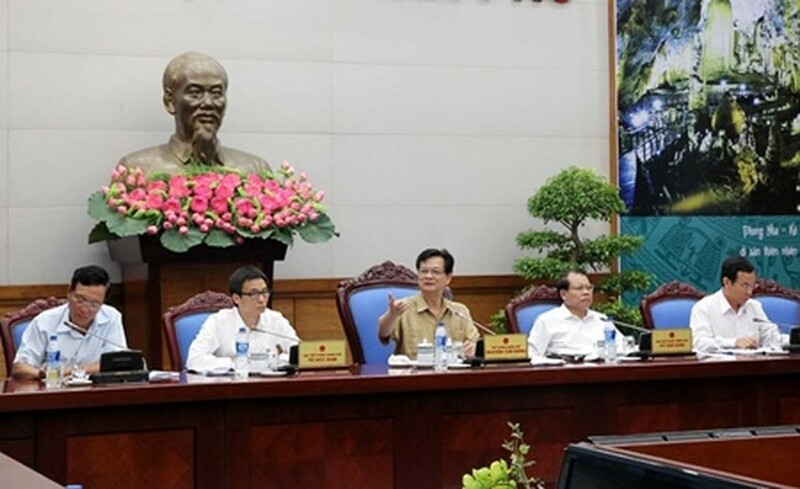 HA NOI (VNS) — Prime Minister Nguyen Tan Dung yesterday urged the education sector to accelerate granting autonomy to State-run universities, a move he described would be a breakthrough in improving tertiary education quality. Addressing a working session on the issue, PM Dung said that initial results from granting autonomy had been encouraging, with some schools now able to pay staff salaries and carry out routine expenditures. However, progress was still lagging behind expectations, the Cabinet leader said, calling for more efforts to enable public universities to make their own decisions over internal matters such as spending, organizational structure, recruitment practices and curriculums. The paramount goal is to raise the quality of training and provide qualified graduates who would contribute to the country's modernization and industrialisation, he said. PM Dung told the Government Office and the Ministry of Education and Training to source feedback from university and agency representatives to finalise a draft resolution on the matter, to be tabled for debate at the cabinet's August meeting. In the draft resolution, the drafting committee needed to consider issues relating to personnel, enrollments, investment, training and scientific research, the Prime Minister said. On the same day, Dung, who is also the chairman of the National committee for education reform, had a meeting with the Ministry of Education and Training (MOET) on textbook reform and options for the national high-school graduation exam. Regarding textbook reform, members of the committee agreed that there might be many textbook packages for one standard programme. The ministry also proposed two options for the drafting of textbooks. One put the ministry in charge of drafting sample textbooks and then getting individuals and organisations to take part. The other option was for the ministry to only evaluate the quality of textbooks drafted by individuals and organisations. While discussing the new national high-school graduation exam, which is planned to replace the two separate high-school graduation and university entrance exams currently in place, Deputy Prime Minister Vu Duc Dam said this was "a huge change". Vietnamese 12th-graders are now required to pass four MoET tests at the end of their school year to graduate from high school in June and then sit for three MoET papers, depending on their majors, to gain admission to college in July. The Prime Minister asked MoET to quickly draft a standard textbook package while also studying other options for textbook reform. Regarding the national new high-school examination, PM Dung asked MoET to choose the best option for students and announce the reasons for its choice.